This has been the #1 Selling Travel Trailer in North America for the past 10 years in a row!!! 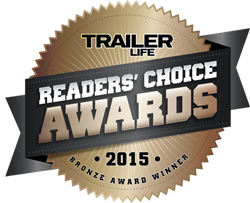 This trailer was recently awarded the Trailer Life Reader’s Choice Award!!! 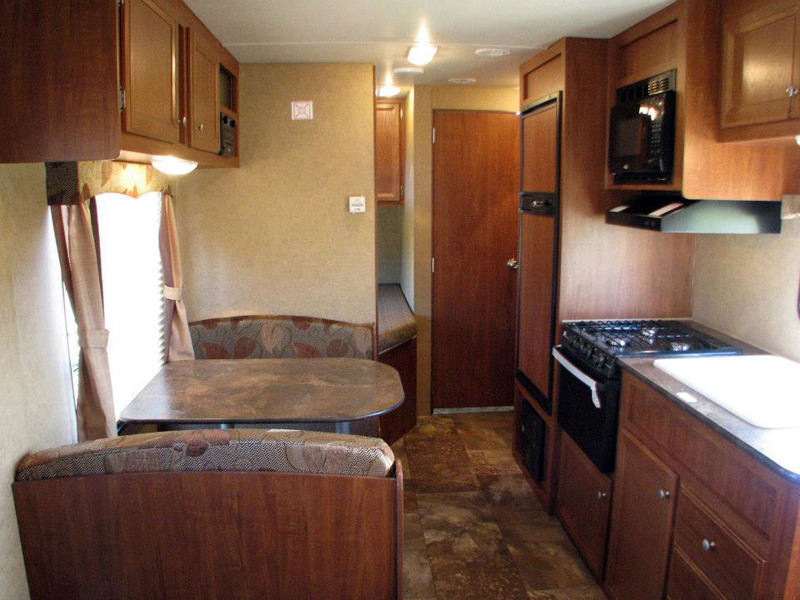 Here is a virtual tour inside the trailers that we rent. Descriptions and specifications of our NEW 26’ Jayco Bunkhouses are listed below along with interior pictures. 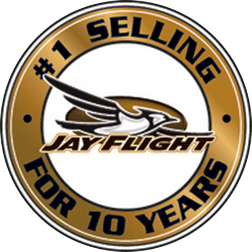 Did you know that Jayco is the industry’s #1 make and model? We keep our pricing simple with no hidden costs. Check out our pricing page for more details. 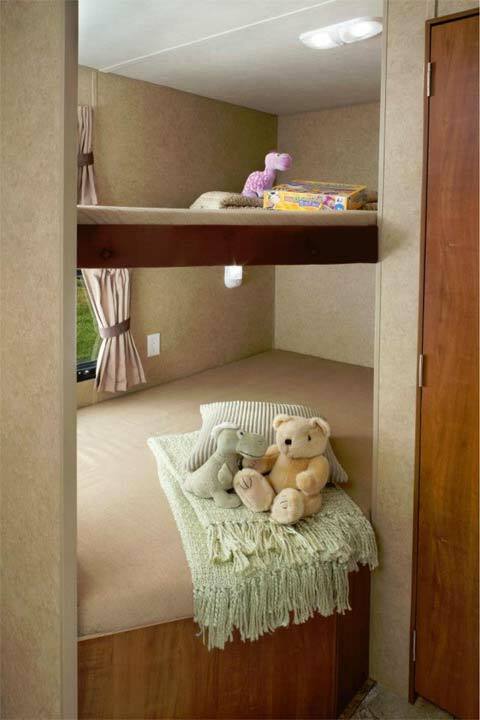 All of rentals have the Double Bed Bunk Option allowing the most sleeping space available. 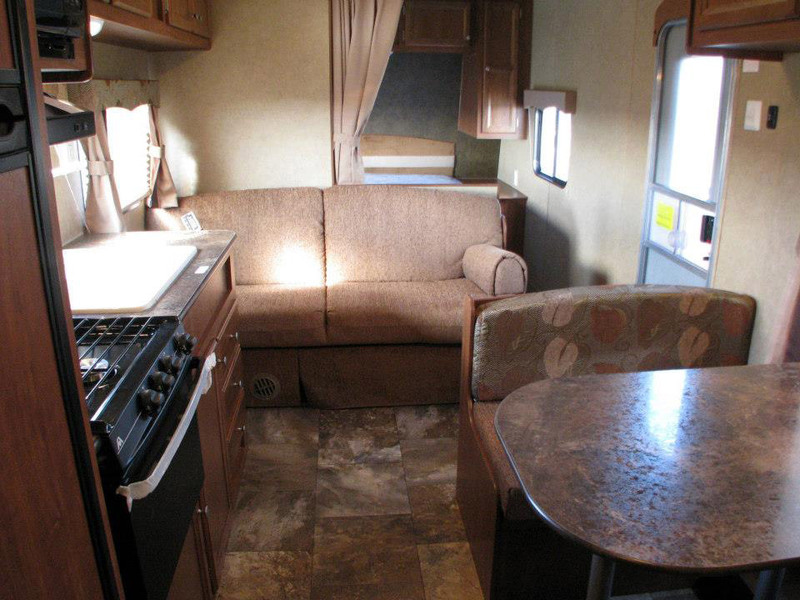 Up to six can all have beds with the couch and dinette offer space for as many as three more…. That’s sleeping for NINE !!! In the Front of the RV ( to your right as you walk in the door) you have a Queen Island Walk Around Bed offering the utmost in comfort for our customer. 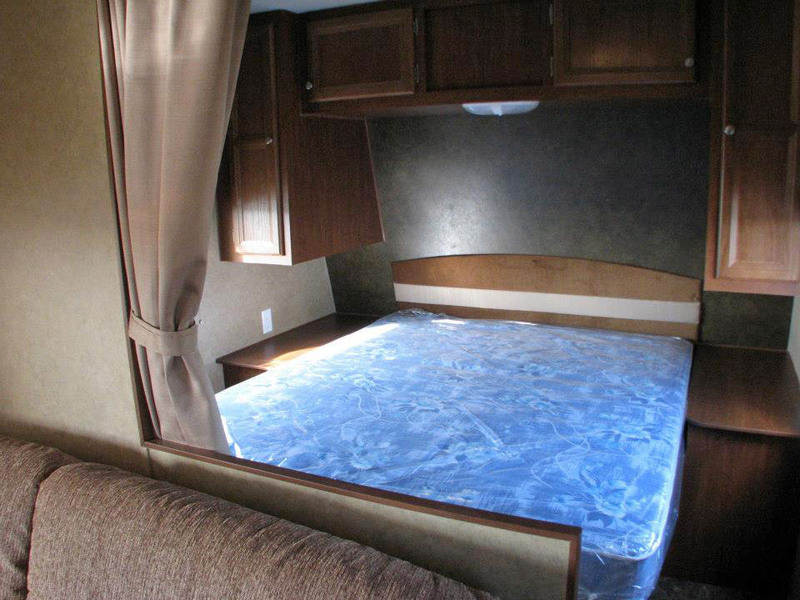 And to make our RV mattresses even more comfortable, we top them off with another 1 ½” of Memory Foam!!! As you walk in the front door you have the couch directly in front of you facing the rear and your split kitchen to the left. The generous and comfortable Booth Dinette sets across from your well equipped kitchen that offers a double sink, 3 Burner Stove w/ VentaHood, Large Microwave and a very spacious 2 Door Refrigerator/Freezer. In the rear of the trailer you have your two Double Beds in Bunk style with a very roomy bathroom with shower beside the bunks on the right. Some of our customers prefer to use their own things in our rentals and therefore, we offer them totally empty at our base price. However many of our customers prefer the convenience of arriving with all the contents prepared and their beds made and waiting on them after their long day’s travel. All they need is their food and personal items. Our content packages are $150.00 and include freshly laundered bedding for up to 3 beds including sheets, blankets, comforters and 6 pillows and pillow cases, all towels and wash clothes. Plus service for 6 with large plates, small plates, bowls, glasses, cups, knives, forks and spoons. Also included are all the most popular and needed untensils, a coffee maker, filters, etc. 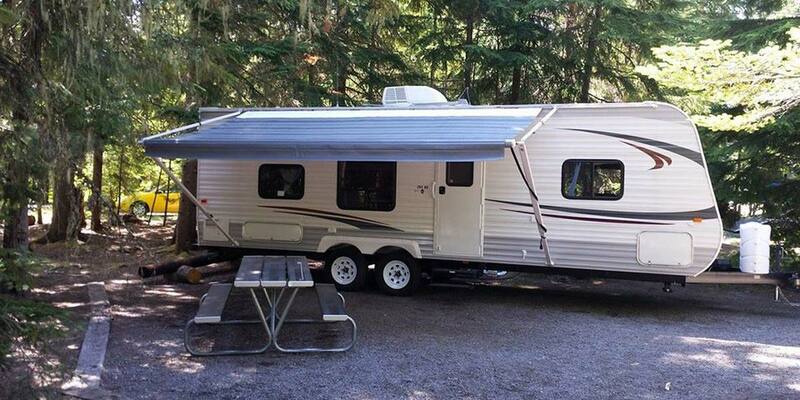 Check out our Simple RV Rental Pricing!